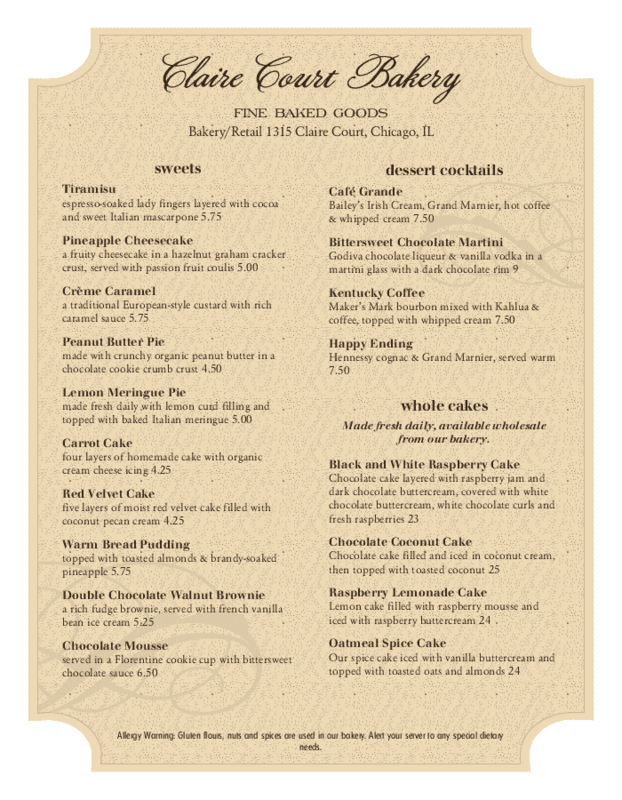 Create a new menu for your bakery in a few easy steps with our Bakery Menu Maker. Choose from dozens of fully-baked templates designed to raise the bar for your entire bakery experience. 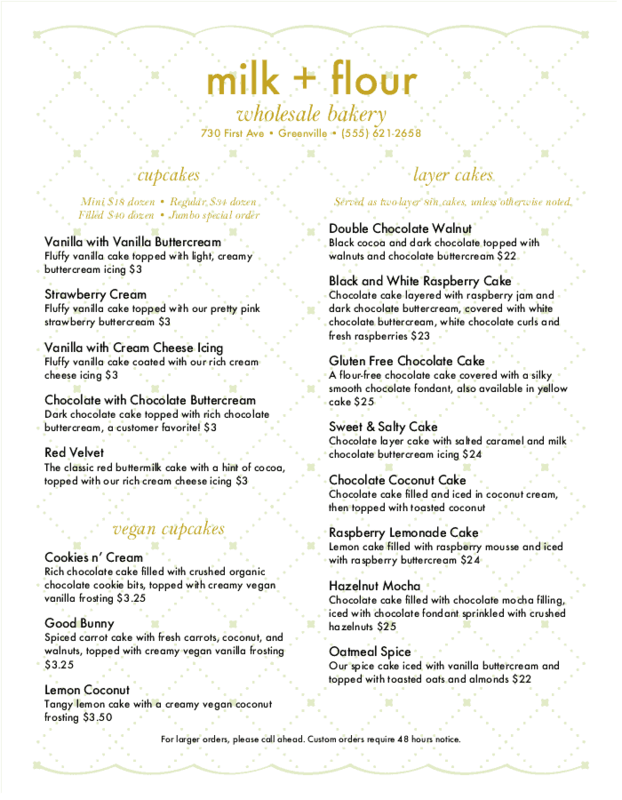 With our Bakery Menu Maker tool, it's easy to customize your menu so that it matches your brand and business. Add photos, edit text, switch colors, and much more with a few clicks! 1. Find a template. Choose a design that fits your bakery from dozens of unique, attention-grabbing templates specifically created for bakeries. 2. Add Imagery. 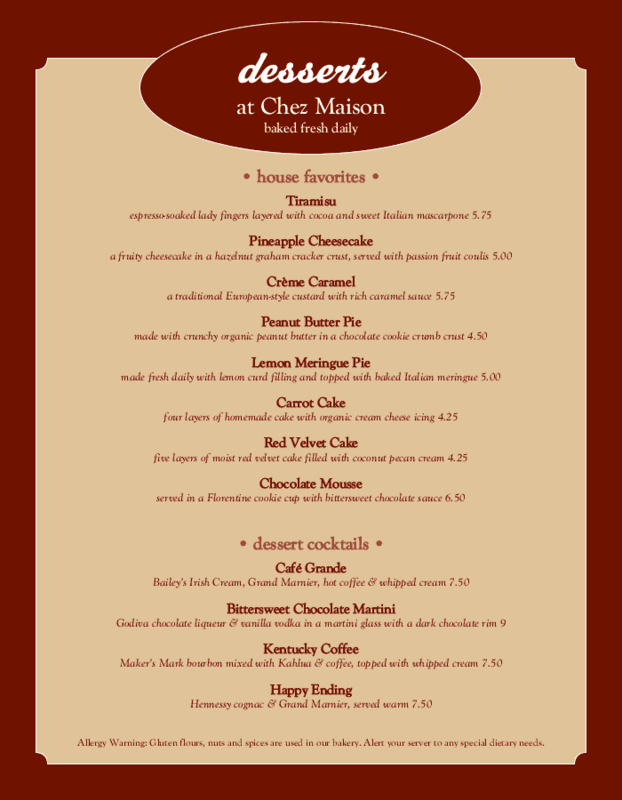 Using our Menu Maker, it's easy to add photos of your baked goods and coffee. Show off your sliced spread or a gorgeous dessert. 3. Upload a Logo. 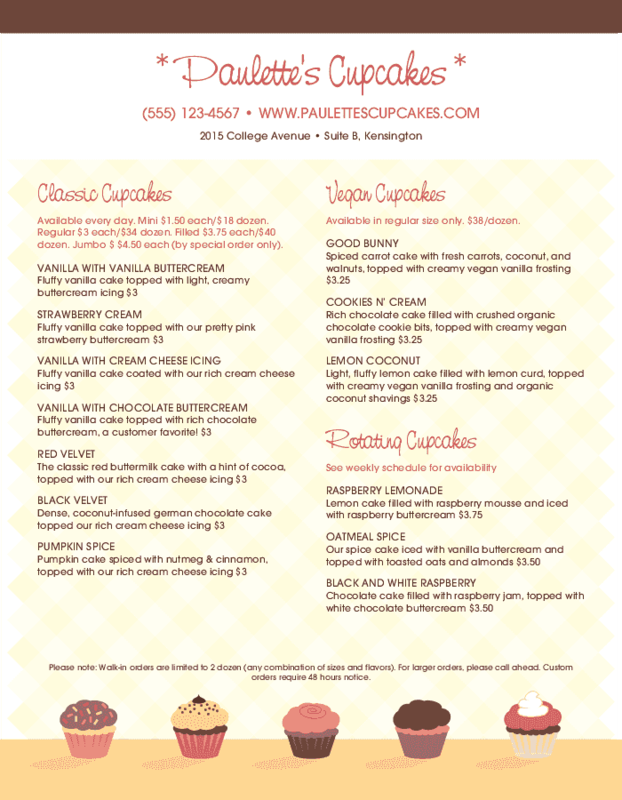 It takes just a few clicks to upload your logo to your bakery menu so it fits the rest of your brand. 4. Edit Text. With a simple click, you can select and edit individual text boxes. 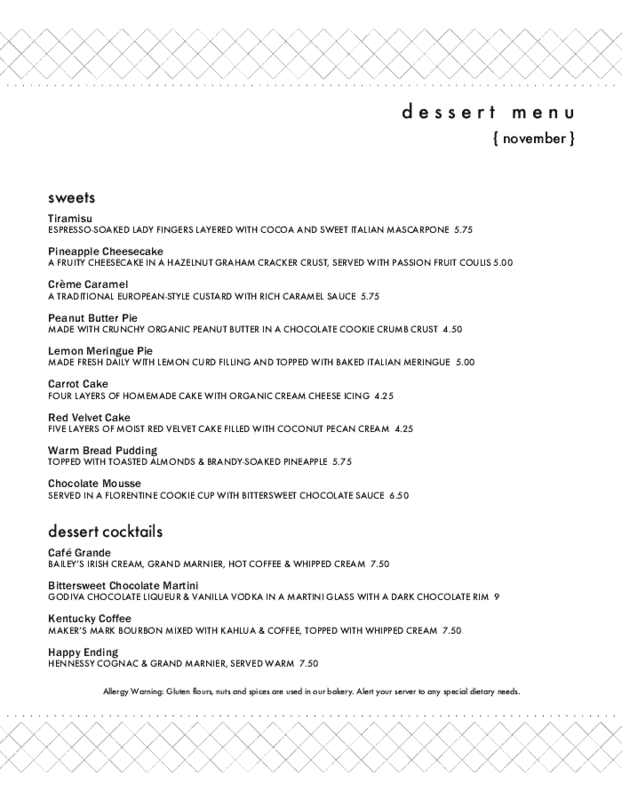 Update prices, change bread lists, switch hours, and more. 5. Switch Colors. 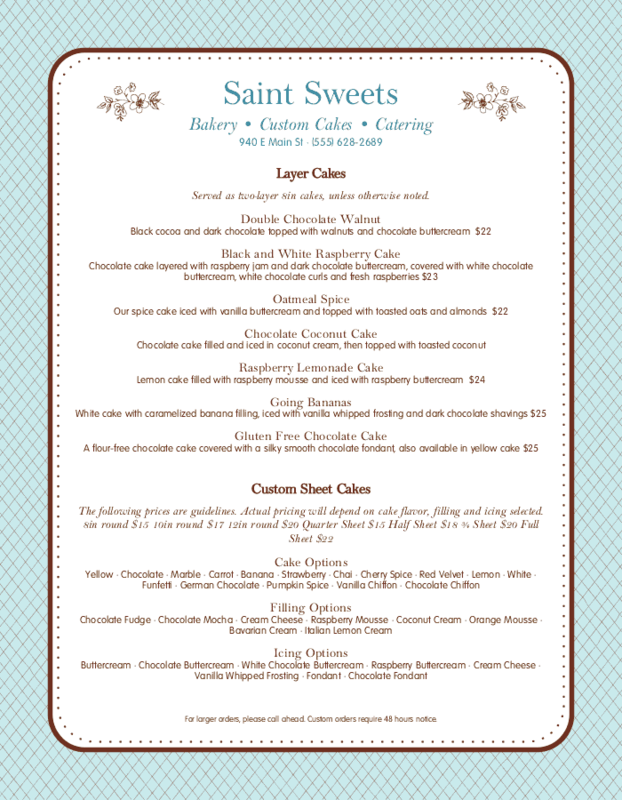 Every piece of your bakery menu can be selected and assigned a new color. Just click and swap. 6. Place Your Order. Once you have the perfect design, choose your paper type, and order your prints. 7. Update at any Time. 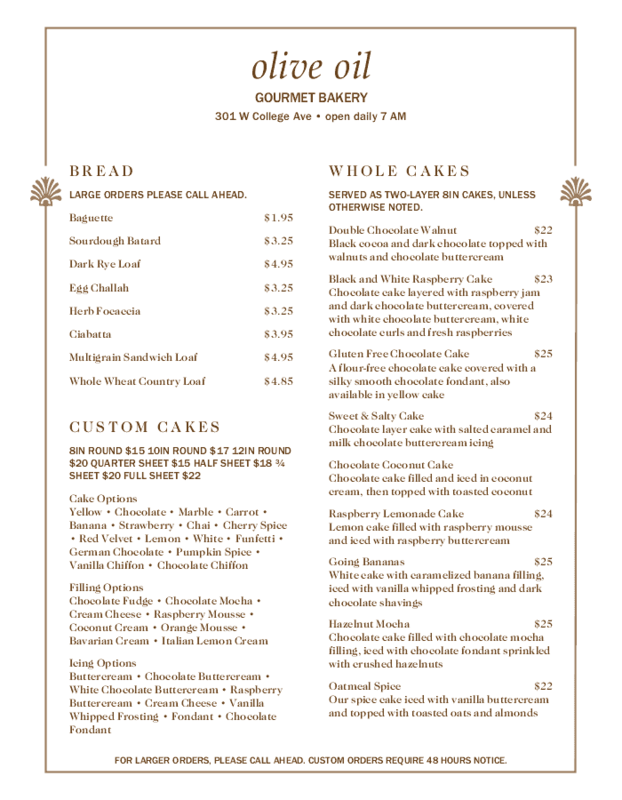 Your bakery menu design is saved to your personal account for easy updates. Change your pricing, update your food and drink selection, and more - all with just a few clicks. 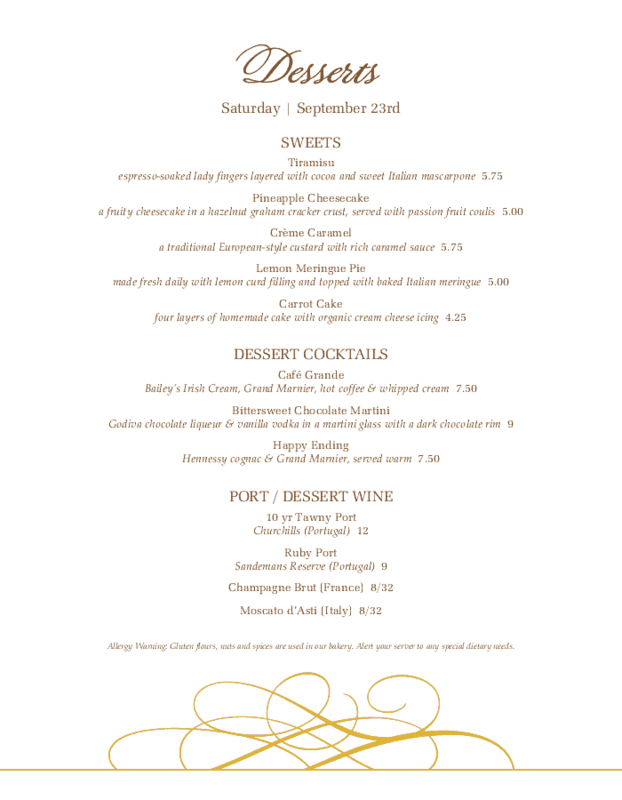 With over a decade of experience in the food service industry, we know how to design a menu and market a restaurant. With our carefully-curated collection, you don't have to waste time searching through hundreds of generic or unrelated menu templates to find one that works for your bakery. 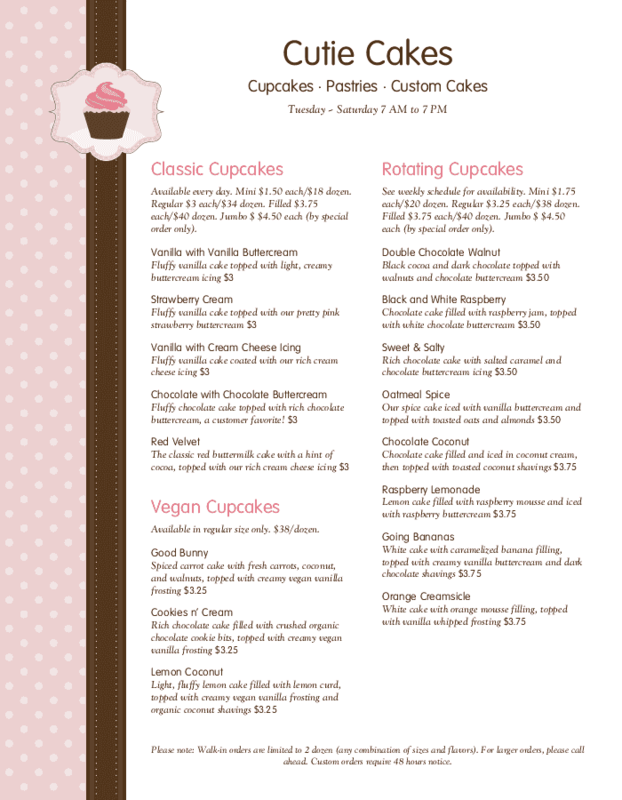 If you choose to create your new bakery menu with MustHaveMenus, you also have access to our entire collection of templates for menus, flyers, social media posts and more. Customize your template with our easy-to-use American Menu Maker tool. 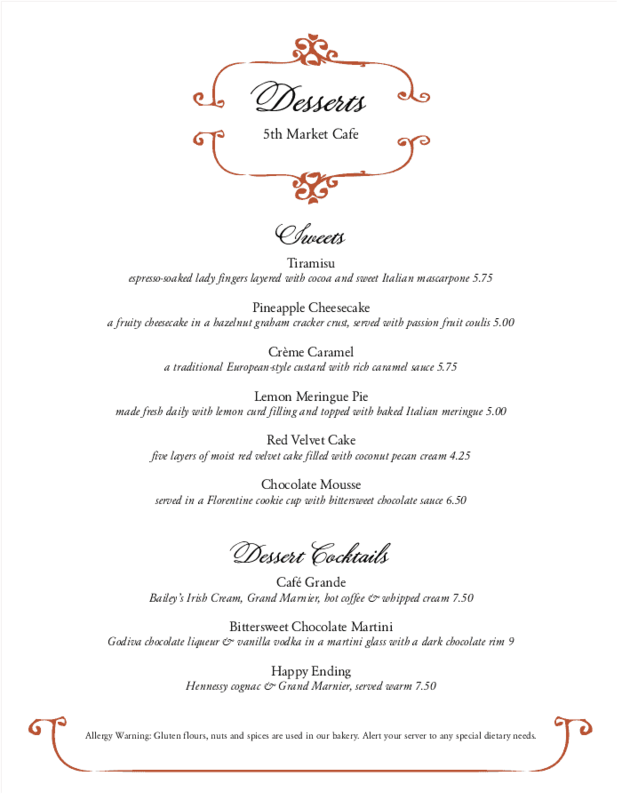 You can either keep the professional menu design as is, make a few minor edits, or you can blow it up and create a whole new menu from scratch. If you get stuck, our Customer Service team is ready to help. Once you've settled on a design, order your prints and we'll ship them next business day. All you have to do is select the quantity and preferred paper choice, track your delivery, and wait for your new bakery menus to arrive! 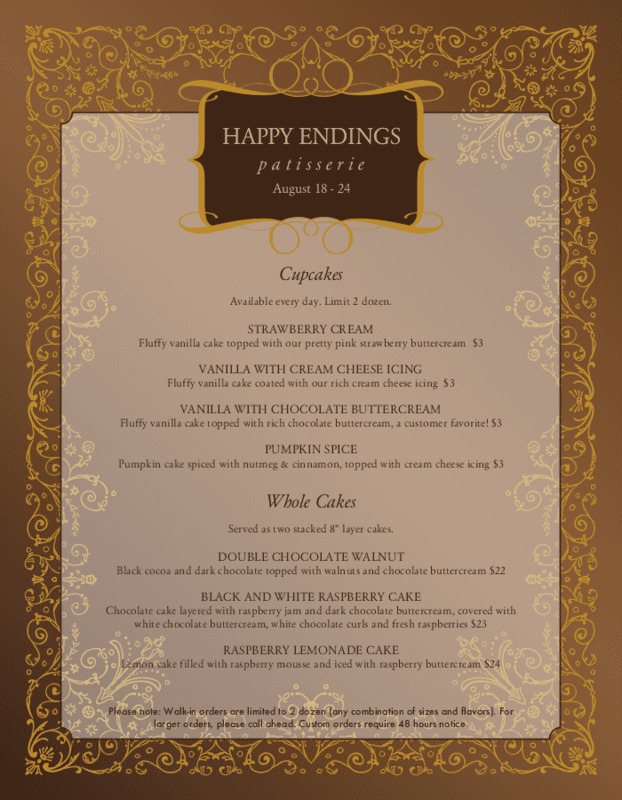 Hire our designers to create a custom, professionally-designed bakery menu for your restaurant. 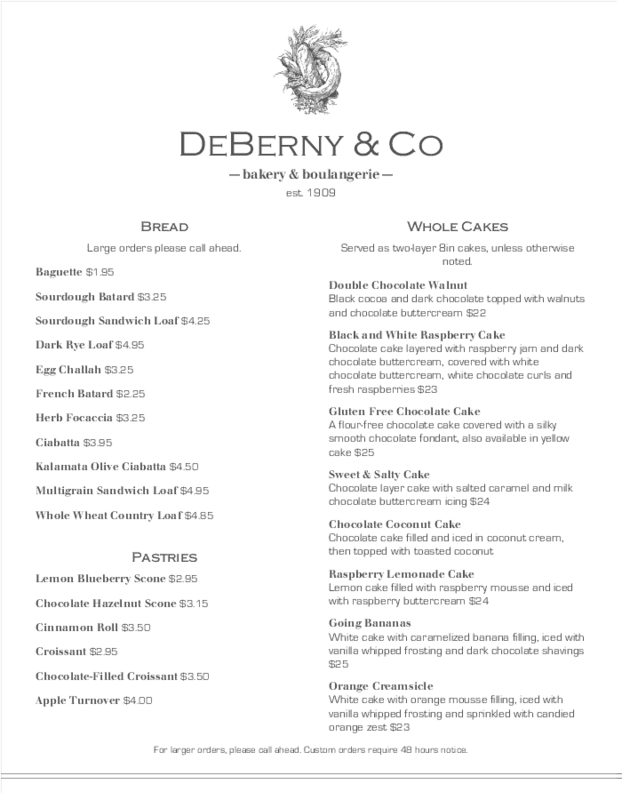 Start your new bakery menu today with any of these templates below.